Chrome OS Stable just updated to version 60 and while it brought with it some welcome enhancements, the subsequent incremental update to the Developer channel has revealed some exciting news for Chromebook users. You are probably aware of the reports that the Google Assistant will soon be coming to Chromebooks and Chrome devices. Whether through a native key, key combo or voice-activated command, Google’s virtual Assistant will become an inherent part of the Chrome OS ecosystem. 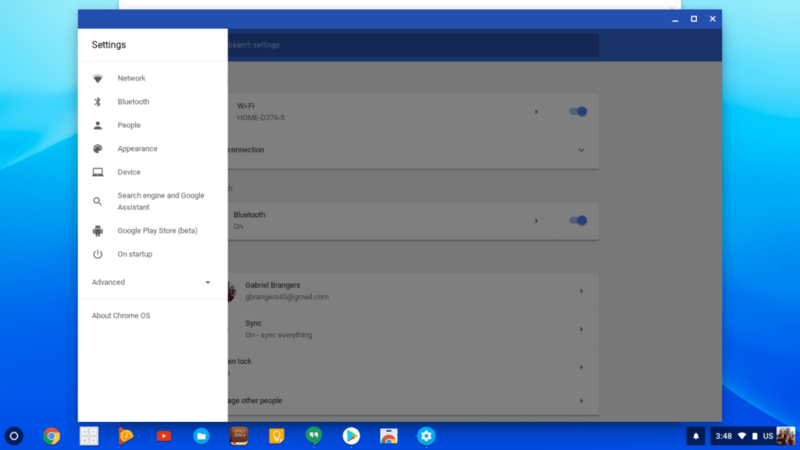 The latest update to the Developer channel of Chrome OS has given us a sneak-peek at the Assistant in the settings menu. 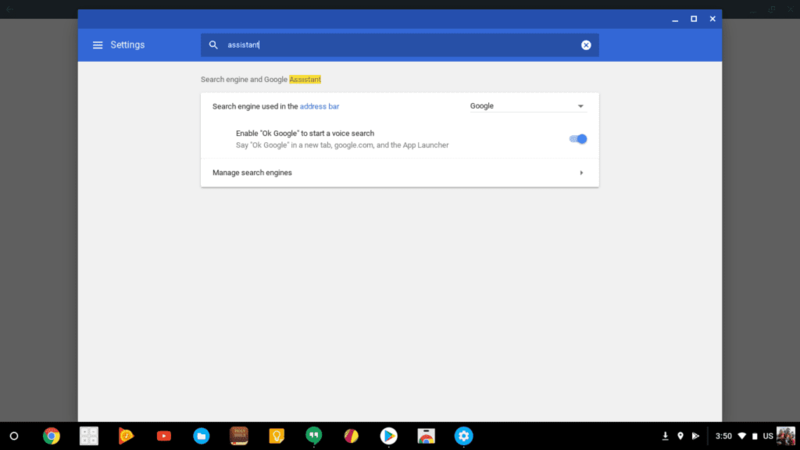 First spotted by @LolsonLolsowski, the update has added the “Google Assistant” to the main menu settings along side search engine options. Upon clicking the new menu item, I was greeted with the usual search engine options and the ability to enable “OK, Google.” For now, it looks as though no functionality has changed but it is clear the Assistant will soon be a reality on Chromebooks. Three months ago I wouldn’t have been as excited about this feature but, as of late, I have found myself using the Assistant more and more. We recently added a Google Home to the office as well which has given me the opportunity to take advantage of more of the Assistant’s features. Having this option on my Chromebook will certainly be a welcome addition to my Chrome OS experience. What about you? Will you use the Assistant on your Chromebook or is this overkill?